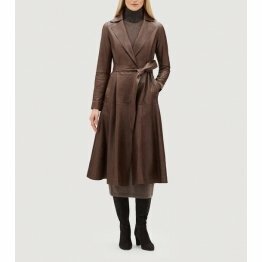 A woman needs to make a fashion statement when it comes to outerwear besides getting warmth and protection from the cold. 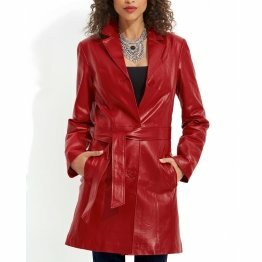 Every woman knows that leather provides style so she should pick up a jacket or coat that is best for her style. 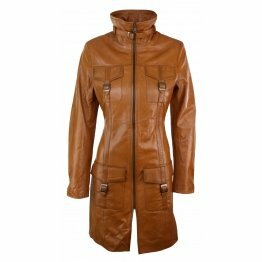 Are you looking where to buy leather coats for ladies to add to your collection of outfits? 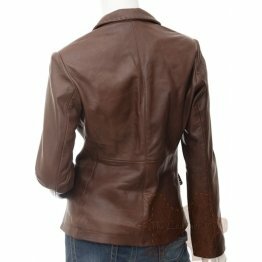 ZippiLeather provide leather coats for women of quality besides other accessories. 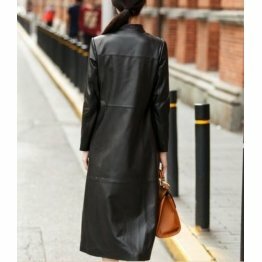 There are long leather coats for ladies with point collar that looks ideal for office as well as casual outdoor strolls. 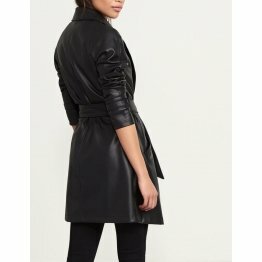 It has asymmetrical zip fastening and zipped sleeves with side pockets. 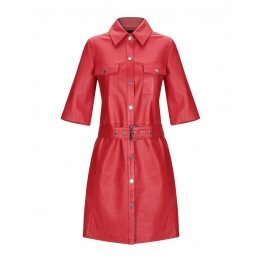 It is 86% polyester, 6% cotton and 8% viscose and is ideal for a medium size young lady. It does not require much maintenance as it can be washed by machine. 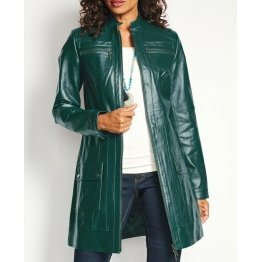 The front zip leather jacket coat is a beautiful jacket of 23”length with front zip closure and a convertible collar. 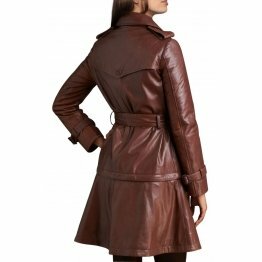 Leather coats for women are provided with long sleeves with zip curves. 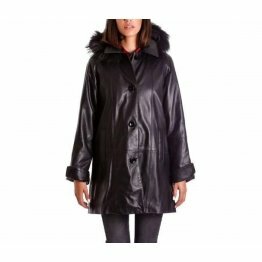 The zips add a golden gleam to a sleek jacket coat made of lustrous soft leather. It has flap patch pockets on the chest and front zip pockets. It is fully lined and needs professional cleaning. 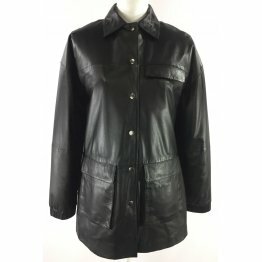 ZippiLeather provides free shipping. The product takes 3 -15 days to reach the destination. 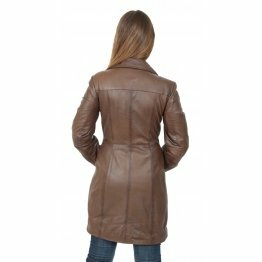 There is a wide range of womens leather coats and jackets that ladies can choose to add panache to their outfits. 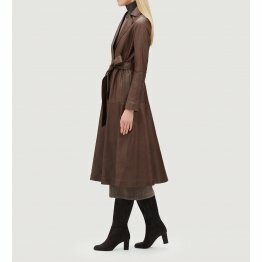 They are of varying in lengths, sleeves and styles. 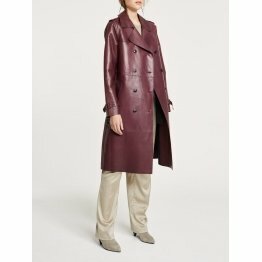 Look your best on your next evening stroll with a genuine leather coat on your leather pants. 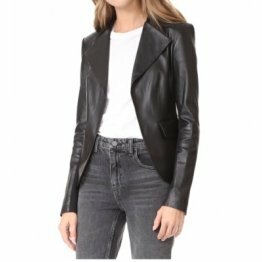 You can add a dash when you make it to the mall dressed in light washed jeans teamed with full sleeved dark blue T-shirt with a sleeveless jacket over it. 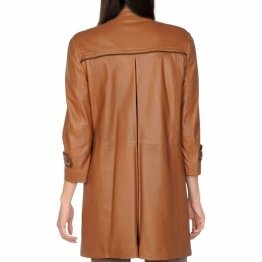 Browse through a wide range of designer leather coats and jackets and choose one to bring out your feminine style or choose a textured biker jacket that you can wear to office. 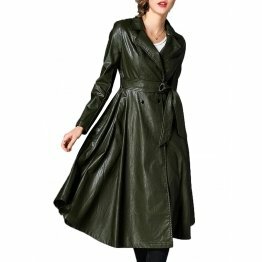 Leather coats for women has a spread collar, full zip closure, long sleeves and two zip pockets and needs to be hand washed. 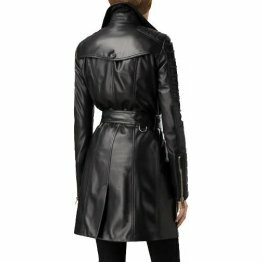 It is made of soft real lambskin leather with double breasted front closure and a notch collar. The trench coat has a belted silhouette and long sleeves with belted cuffs. 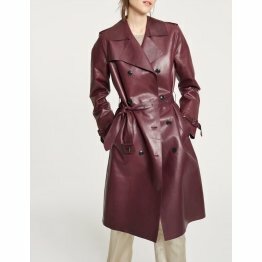 It is a heritage trench coat with a liner which is detachable. 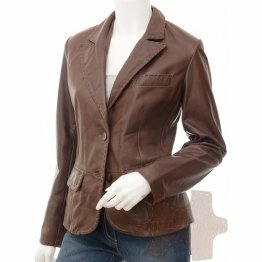 It is petite and brown in color with throat latch and front button closure. 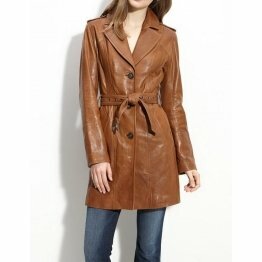 The mink coat has a flawless design and is constructed of soft mink. 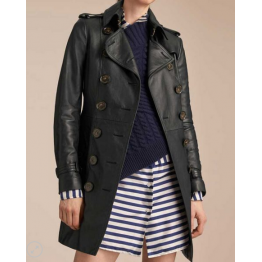 It has suede insets arranged in horizontal stripe pattern. 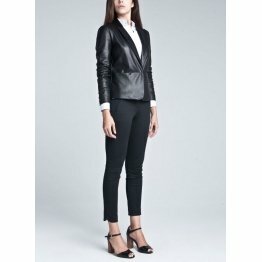 It is designed for a classic fit but fits large built, and has long sleeves and slit hand pockets. 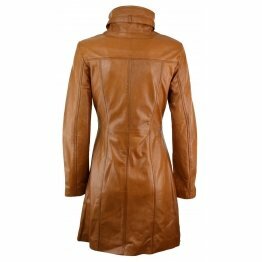 It has front snap closure, point collar, suede insets and suede plackets. 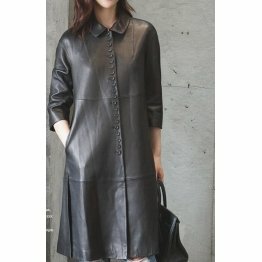 The body lining is viscose and sleeve lining is silk. 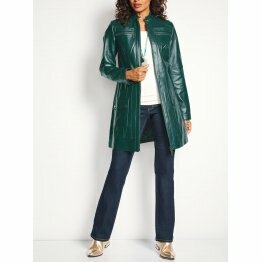 The leather jacket is dark green in color and is perfect even to venture out on a bike. 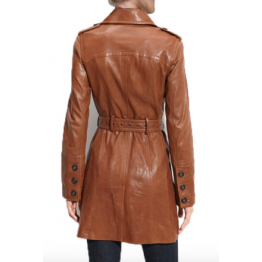 The outer fabric is 100%genuine leather and the lining is 55% cotton and 45% polyester. 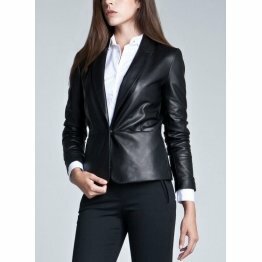 It has lapel collar and pockets with zip closures and one pocket inside. 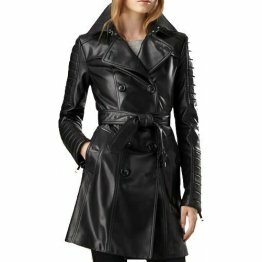 It has zip fastening. 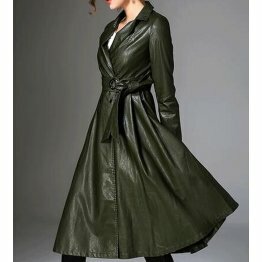 The length of the jacket coat is of regular size or extra long. 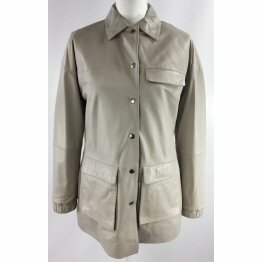 If you order it online you can get it within 7-8 working days. 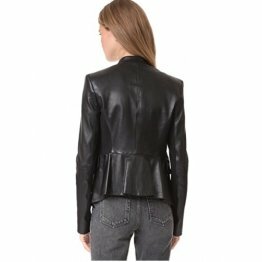 The Ladies biker jacket is a designer piece in black cotton and leather with flower print. 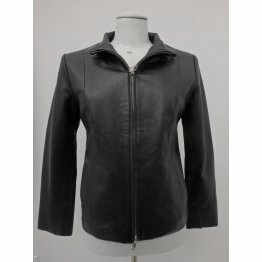 It is tailored with front zip closure. 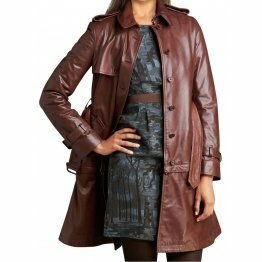 It has two pockets on the waist. 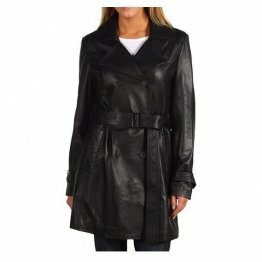 Leather coats for women have sleeves long with zip closure and have two pockets on the chest with button closures. 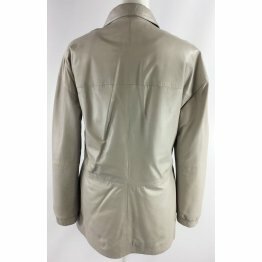 The jacket can be ordered by phone.